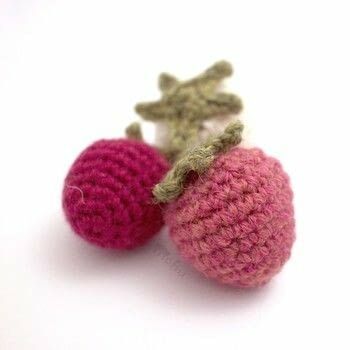 Using medium (worsted) weight yarn and a 3.5 mm (E) crochet hook, your strawberry will be about 4.5 cm / 1.8″ tall. 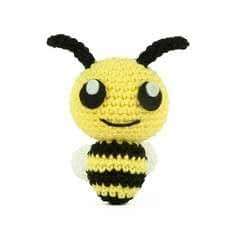 You can easily adjust the size by using thicker or thinner yarn. 1. 8 sc in a circle. Cut yarn, leaving a long tail for sewing, and finish off. Stuff your strawberry, and sew up the hole. 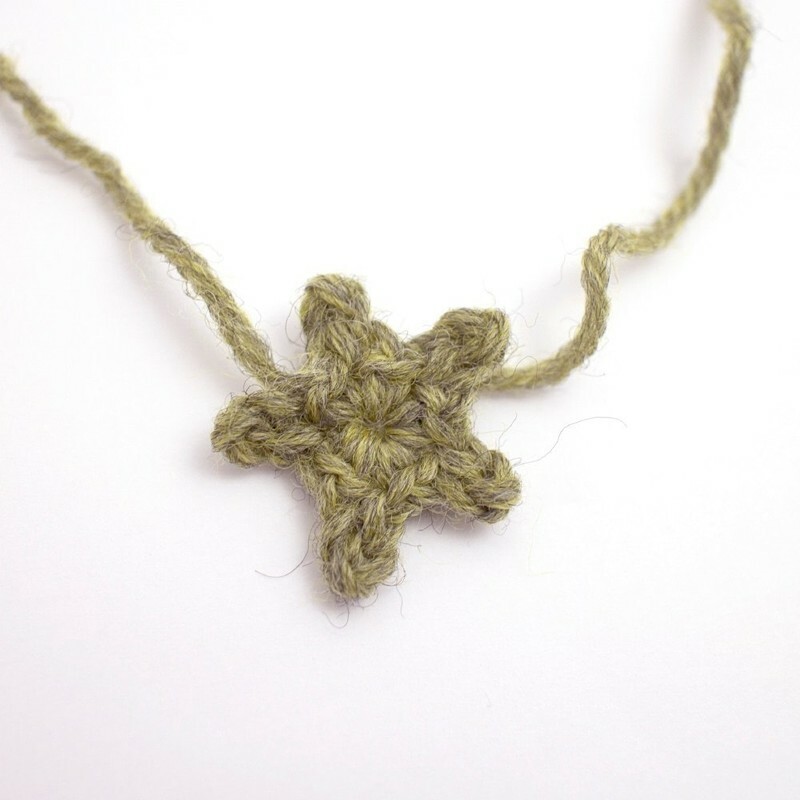 Using green yarn, start with a magic circle, or ch2 and work in the first chain. (1 sc in the circle, ch 3, sl st in 2nd chain from hook, sl st in next ch) 5 times. You should now have 5 little leaves in a circle. Join with a sl st to the very first sc, and finish off. 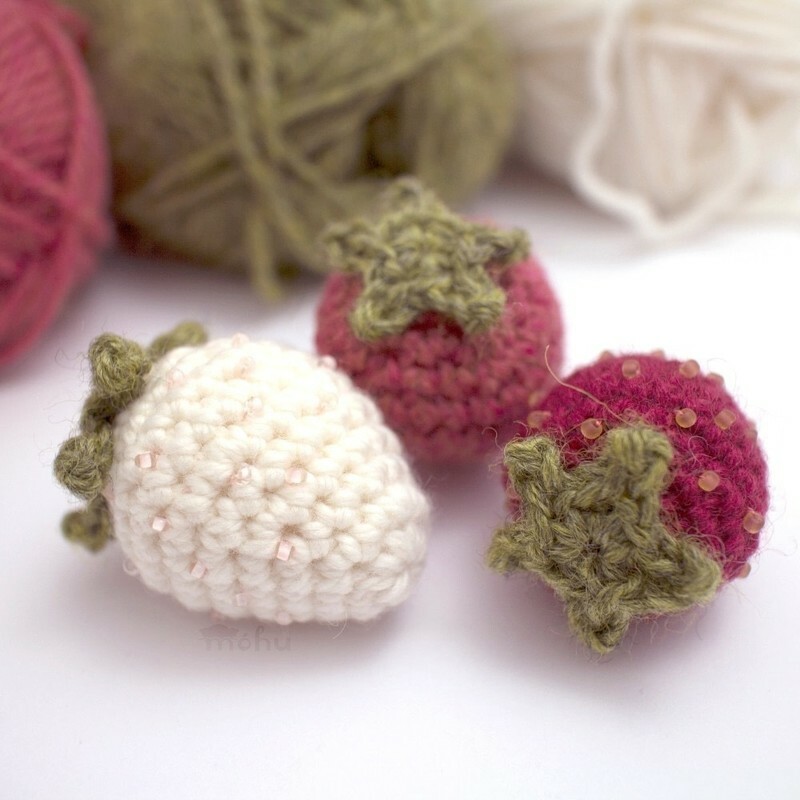 Sew the leaves onto the top of the strawberry. If you want, embroider some small seed beads onto your strawberry.